I was lucky to receive this B6 in Dark Brown(772) with Yellow(771) on the interior. It’s great combination and I really like the contrast stitching. The internal layout of the B6 is the same as my A5 Appunto that I recently reviewed. So there was no big surprises when I opened the B6 Appunto box. So if you aren’t familiar with the Appunto, let’s take a quick tour. 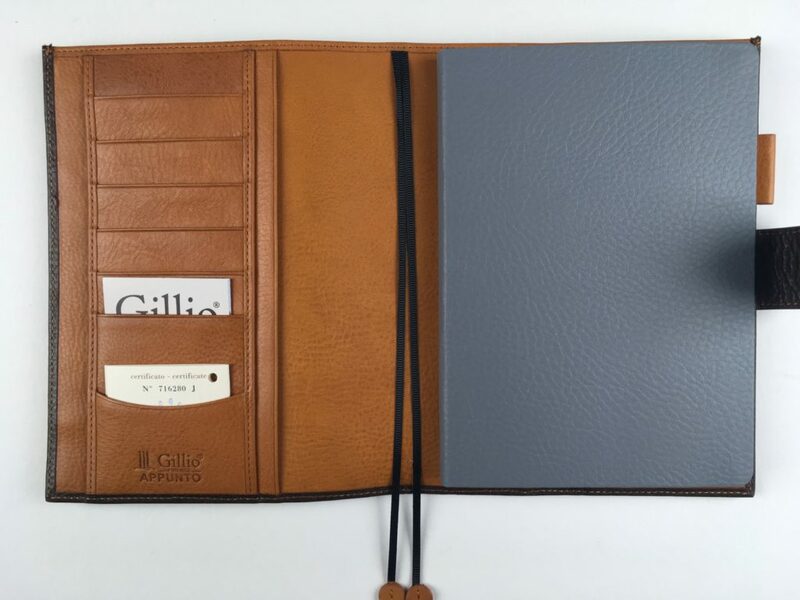 Externally you could easily mistake this for a ring bound Gillio organiser. 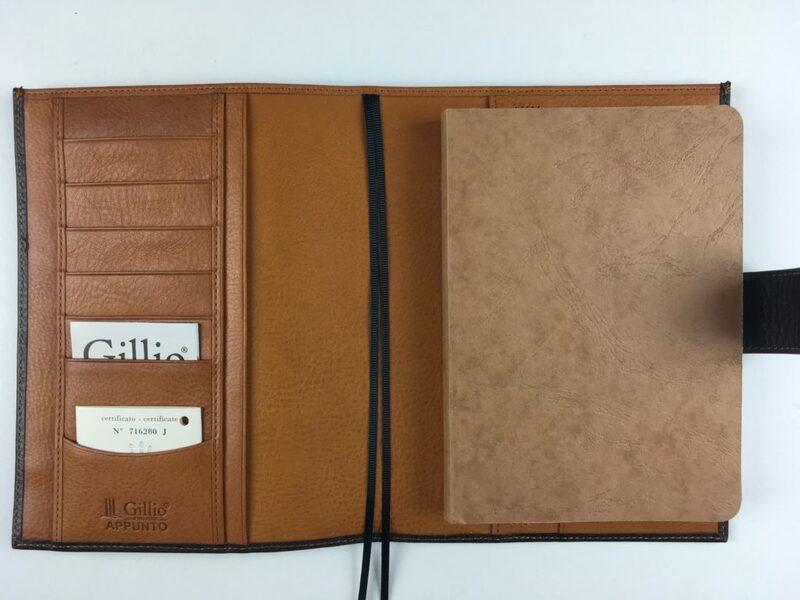 However, the bookmarks and the positioning of the elasticated pen loop give it away a little as being something different. 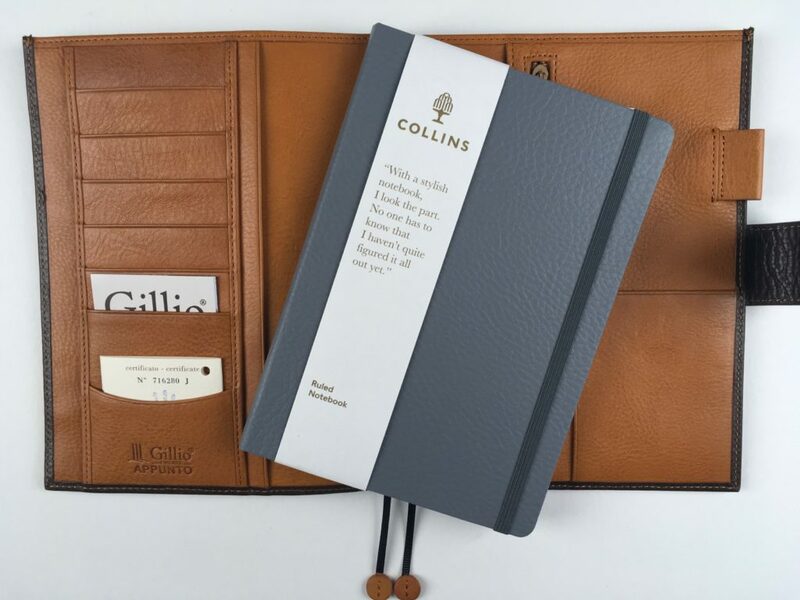 Internally the pocket layout on the inside front cover is very practical with full height vertical slip pockets and six credit card/business card pockets. Plus a business card pocket at the foot. 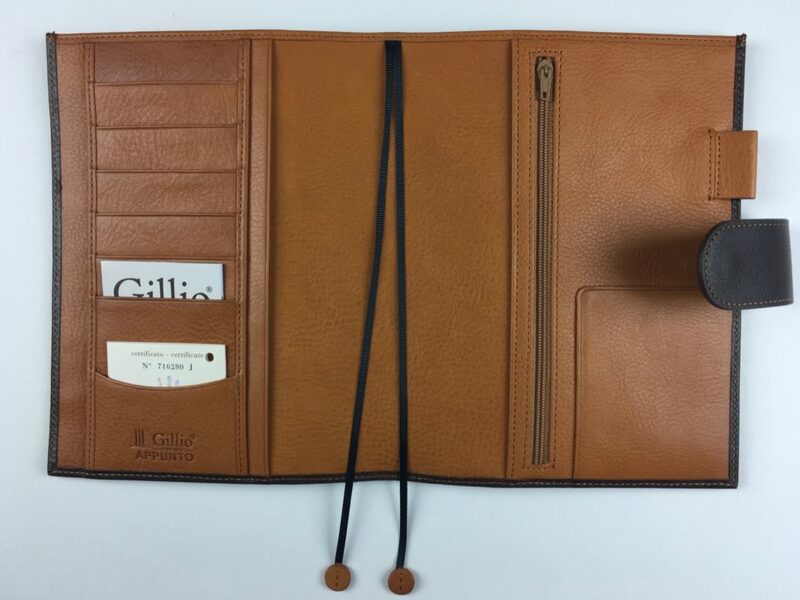 On the inside back cover there is a zip pocket and a half height secretarial flap pocket as well as the pen loop. Being placed higher up it will not suit all pens, I’ve managed to find a few that I already own though that fit this pen loop without too many issues. B6 is bigger than A6, but as you can see below smaller than A5, it is an in-between size. 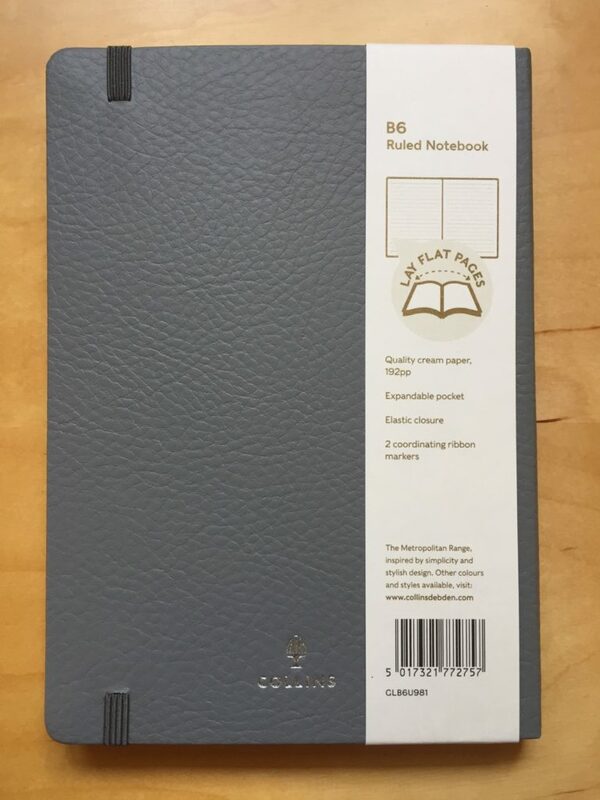 Shopping for B6 planners/notebooks is a bit of a voyage of discovery. You need to pay special attention to the size of the books you are buying. True B6 is 125mm by 176mm high. 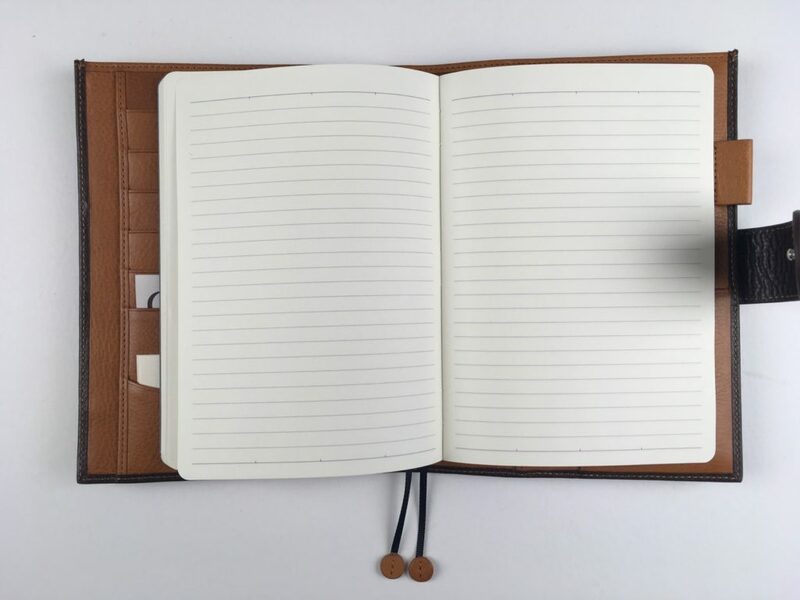 The B6 Appunto easily takes this size of notebook with a bit of spare space. 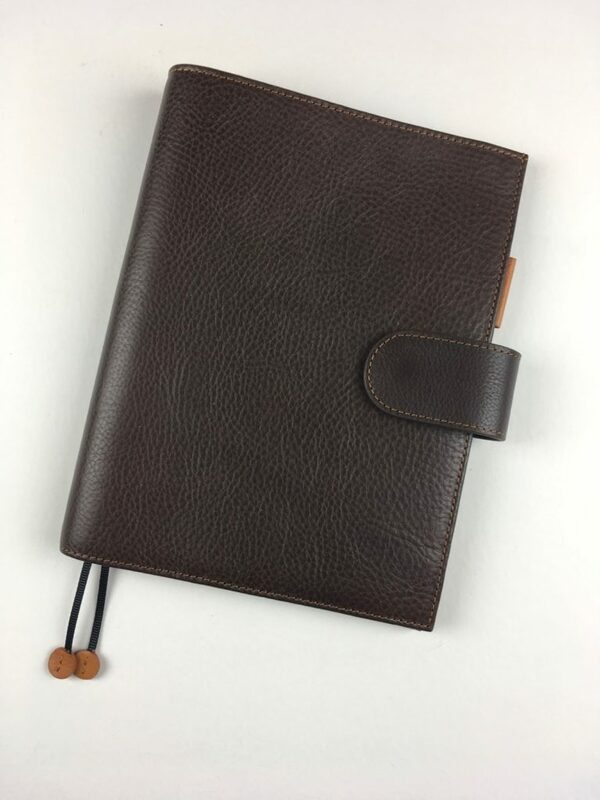 The photograph below is a Muji Notebook, these are quite thin, but they are exactly B6 size. I also discovered to my surprise I had an unused un-dated planner from Exacompta Forum Journal in the cupboard. 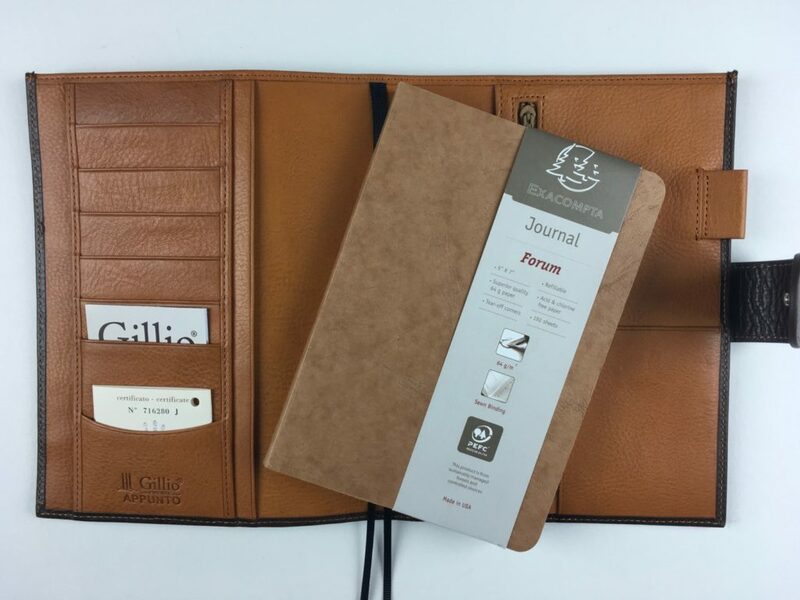 This is a page per day journal/planner which is close to B6 size. Undated page per day Journal. 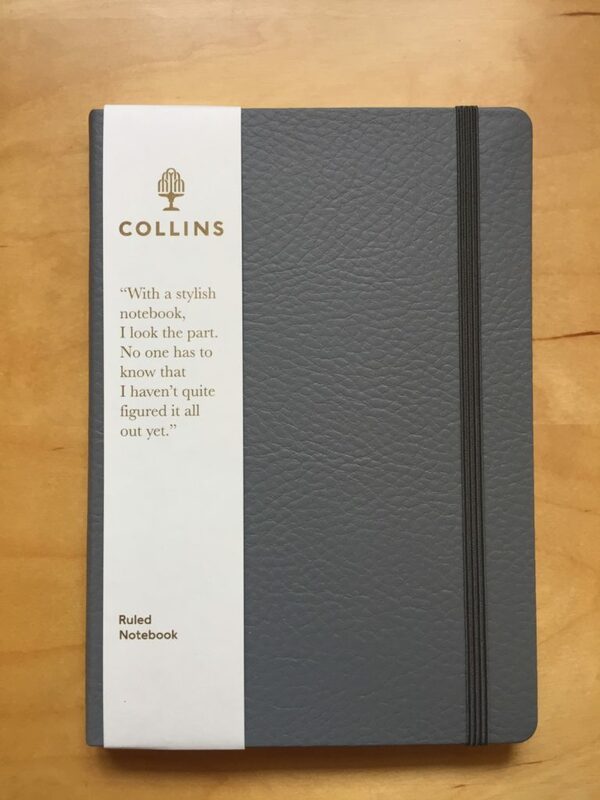 I also looked on-line and discovered this Collins B6 notebook. It fits very nicely in the B6 Appunto. It actually measures 183mm in height which I would say is approaching the limit of the size that will fit the B6 Appunto. The pages are nice and simple in layout with rounded corners as well. 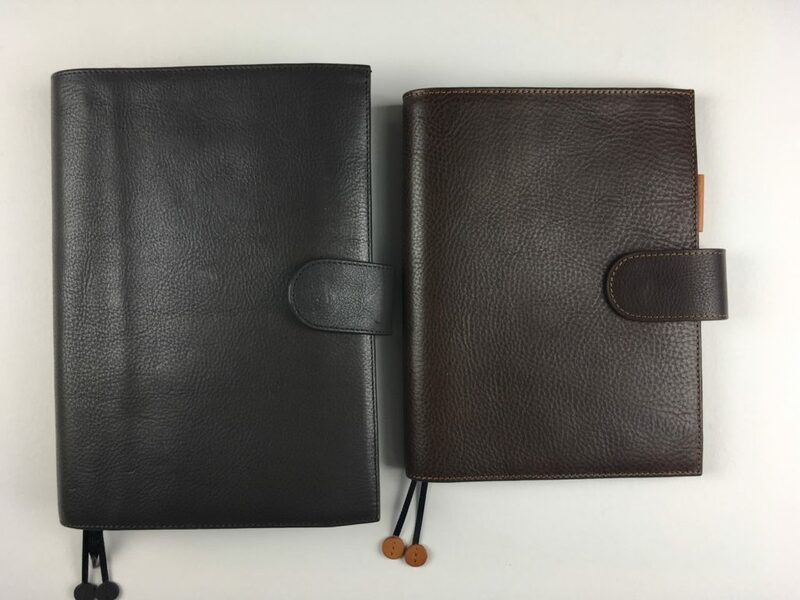 During my on-line search I also came across a B6+ series of notebooks by Leuchtturm 1917, these are the same width as B6 but taller. I didn’t order one because they are listed as being 190mm high, which I feel might be too high for the B6 Appunto, and the covers would need some trimming to fit the Appunto pockets. 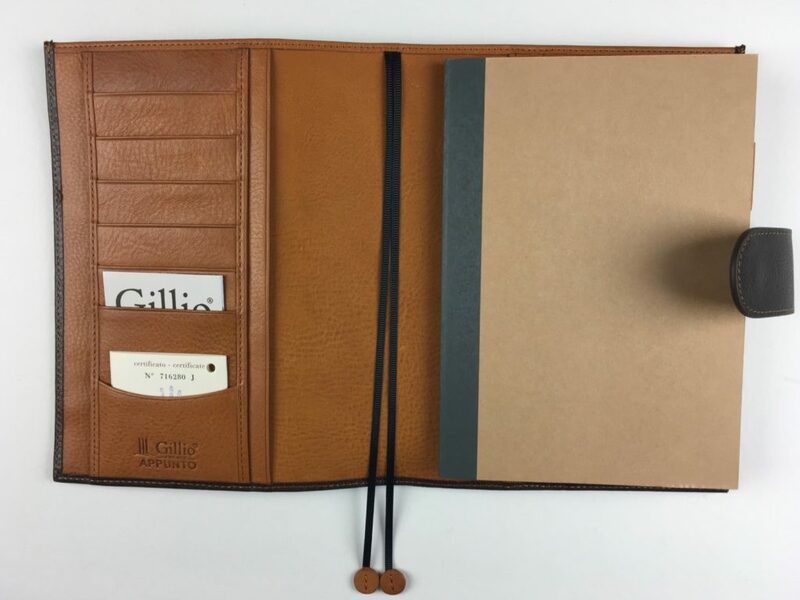 So please Gillio, if you are thinking of further revising the B6 Auppunto a few extra mm in height would open it up to many more notebooks and planners in the market place. What you can easily buy will depend on where you are in the world, but I don’t see the point in importing things across continents because it becomes expensive in shipping and import duty costs. 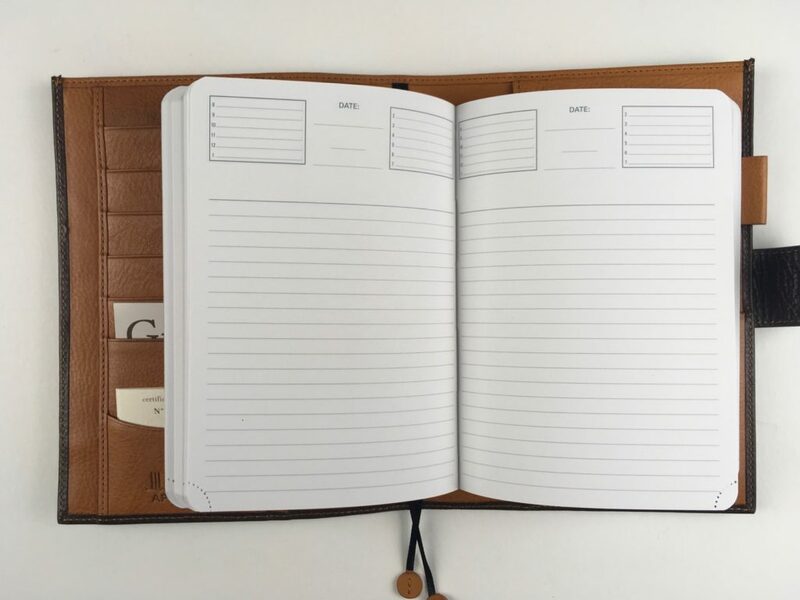 Overall I find that the B6 size is a very practical size for planning or note taking, not too big and not too small. Thank you to Gillio for supplying the sample of the B6 Appunto for review.